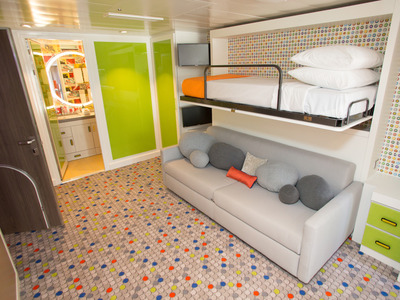 SBW-Photo via Royal CaribbeanThe Ultimate Family Suite can hold up to eight people. Under CEO Michael Bayley, Royal Caribbean has increased revenue by upgrading its luxury offerings. The Ultimate Family Suite, which was introduced on Symphony of the Seas, may be the centrepiece of that strategy. The suite has an 85-inch TV, three video game consoles, a 100-foot-long Lego wall, a two-story slide, a ping pong table, and a balcony with a whirlpool. 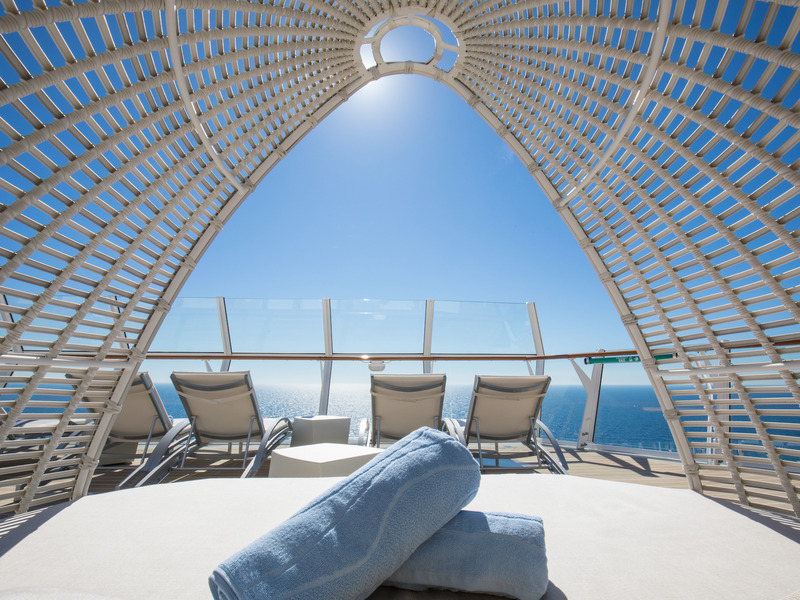 The 1,346-square-foot suite can cost over $US170,000 on a seven-night cruise. 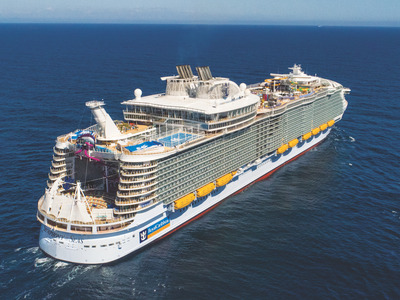 Three years ago, Royal Caribbean set out to double its earnings and increase its return on invested capital. 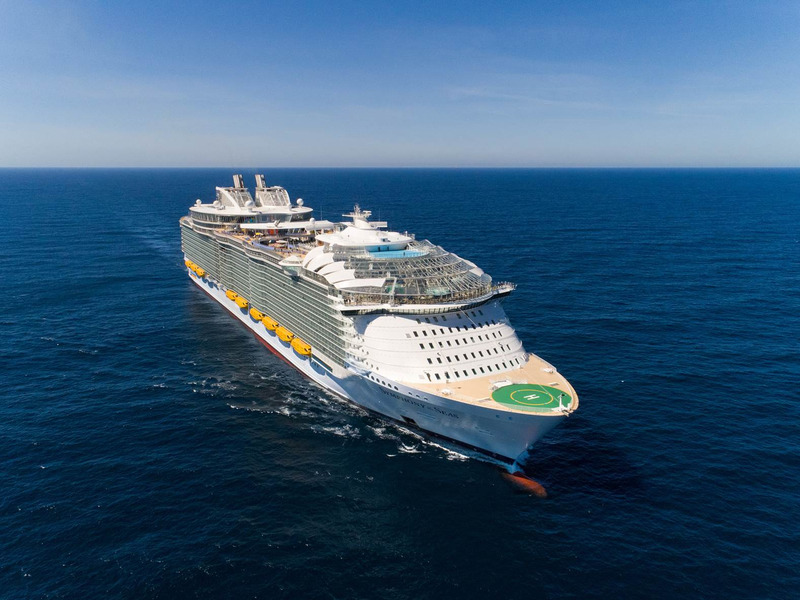 Part of the strategy CEO Michael Bayley followed to achieve that goal involved upgrading the cruise line’s high-end offerings and raising their prices. If he made them attractive enough to customers, Bayley figured, they’d be happy to pay a premium. “People are perfectly happy to pay for a product that they perceive as being of value, and we just elevated that perception of value and we elevated the price,” he said in an interview with Business Insider. 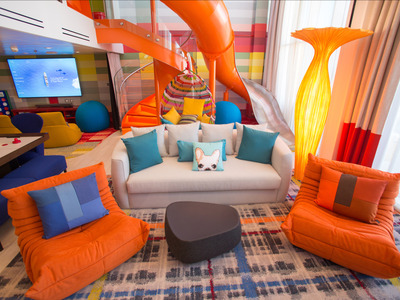 The Ultimate Family Suite may be the centrepiece of that strategy. 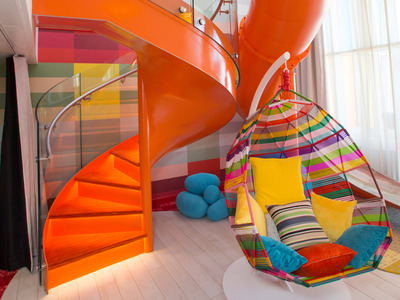 The two-level, 1,346-square-foot suite is Royal Caribbean’s version of a penthouse. 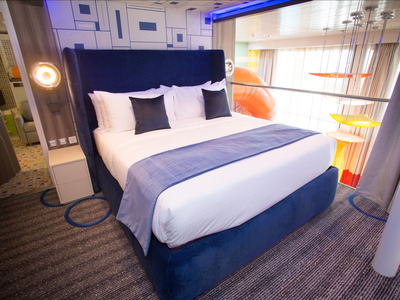 It’s no coincidence that the suite was introduced on Symphony of the Seas, which debuted in March as the world’s largest cruise ship. 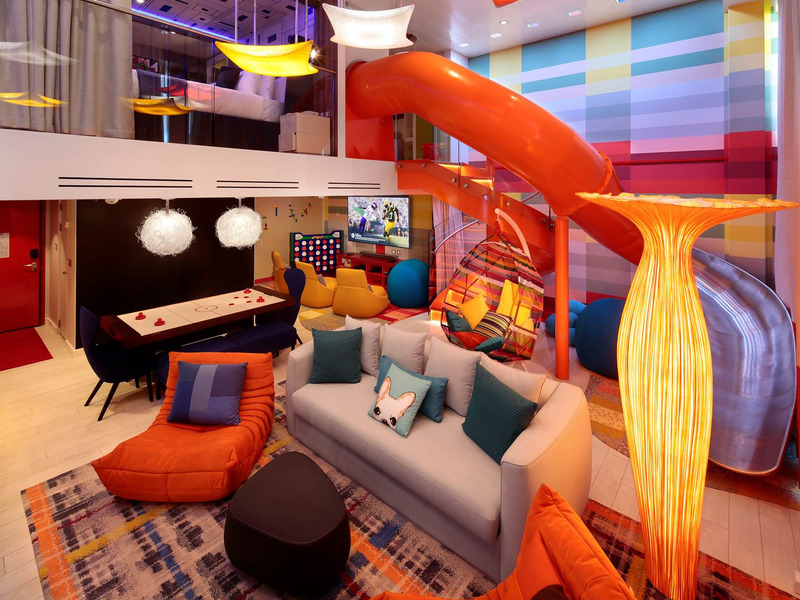 The suite has an 85-inch TV, three video game consoles, a 100-foot-long Lego wall, a tw0-story slide, a ping pong table, and a balcony with a whirlpool. As you might expect the suite isn’t cheap, as it can run for over $US170,000 on a seven-night cruise. Bayley said the suite’s amenities justify the price. “I would challenge any company in the world to show me a better family suite. It is the ultimate family suite,” he said. Here’s a look at the suite and why Bayley thinks it’s worth its hefty price tag. The suite was introduced on the Symphony of the Seas, which, at 228,081 tons, is the largest cruise ship in the world. Guests enter the suite on a red carpet. The 1,346-square-foot suite can hold up to eight people across two bedrooms. It has plenty of amenities aimed at children. …air hockey table, 85-inch TV, video game consoles, ping-pong table, and Lego wall. 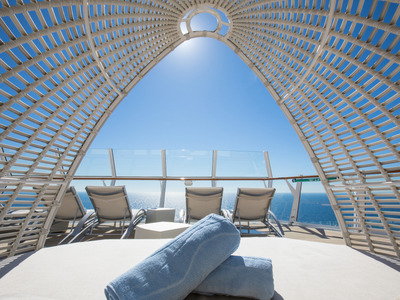 The suite also has a deck with a whirlpool. 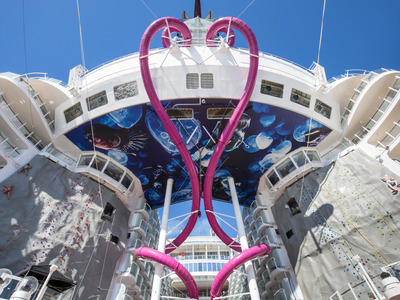 Once the children get restless, they can use one of the ship’s waterslides or climbing walls. And adults have plenty of spots to relax outside of the suite. As you might imagine, the suite is pricey. It can run over $US170,000 for a seven-night cruise.